The typical gym is jam-packed with an assortment of high-tech and traditional workout machines. Some are easy to use while others have a moderate learning curve. It is difficult for the average member to pick out the machines that are actually worth using. Gym machines can induce information overload. There are too many to choose from. There is an endless number of positives and negatives to each machine. There are also plenty of varying opinions about these machines' alleged merit. Let's cut to the chase and delve into the best gym machines that boost strength. These are the best machines to train the body to utilize the proper muscles in the appropriate manner. 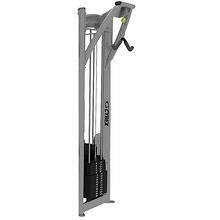 This is one of the best gym machines to work the triceps. Strong triceps help balance out the strength in the arms. They make it that much easier to perform other exercises like pull-ups and push-ups. If this piece of equipment eventually bores you, switch up the grip. Make use of a rope, V-bar or a straight bar to make the exercise that much more dynamic. Everyone is looking for the best gym machines that sculpt the back. The lat pull-down works the broad muscle of the back known as the latissimus dorsi as well as the shoulder girdle. It activates the full posterior chain, producing a sculpted look that you will be proud to show off. Newbies can begin with an under grasp style of grip in which the palms face inward. This makes use of the biceps and is much easier than the outward grip. The exercise can be made even more challenging by bringing the hands closer to one another or by spreading them far apart. The hanging leg raise works the hip flexors as well as the entire core of the body. It is simple to use so don't shy away, even if you are unfamiliar with the nuances of physical fitness exercises. The hanging leg raise will tone the abs through the propping up of the forearms and lifting of the legs. Take care to avoid swinging the legs when using this machine. If you want to work your biceps, look no further than the cable biceps bar. There is no need to swing those heavy dumbbells around when the cable biceps bar is in your gym. 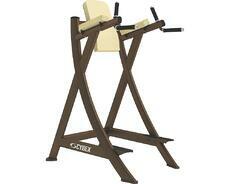 Be sure to gradually lift and lower the weight without rapid jerking motions when using this machine. The cable component of the machine encourages such a slowed movement. This style of leg press is perfect for working the hamstrings, glutes, quads, and calves. Anyone who is looking to improve their lower body strength should use this machine at least once every couple of days. Ask the top trainers about the horizontal seated leg press and you will find that they heap on the praise. As long as workout warriors use the machine with the proper technique, they will obtain considerable benefit from it. The machine also serves as an excellent segue to squats. 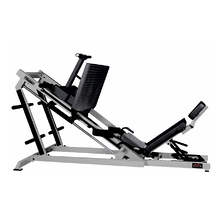 The chest press machine is ideal for working the chest, triceps, and biceps. This machine allows for a motion similar to a push-up. It provides all sorts of benefits for novice gym-goers as well as veteran gym rats. Incorporate the chest press in your regular workout. It will prove quite helpful for compound movements as time progresses. Anyone who is in search of a fun way to get the heart going should give the rowing machine a chance. This is one of the best gym machines ever created. It allows for a full-fledged cardiovascular workout. It works the entire body with a particular focus on the posterior chain. Try the rowing machine a couple of times a week. It will drastically improve your cardiovascular endurance. This is one of the best gym machines around, especially when pitted against the treadmill and exercise bike. After all, you can only run or bike so many laps until you grow bored with the activity. The rowing machine works more of the body than exercise bikes and treadmills. It works the upper body in addition to the lower body, simulating the rowing motion with highly effective resistance training. Whether you have grown tired of the same old exercises or looking to engage in an intense exercise, the rowing machine is a top choice.